Westridge Golf Club Hole 1: The opening hole is relatively short and downhill, but left is out of bounds and right off the tee has some thick bushes. So, two controlled opening shots are what are needed to start the round. 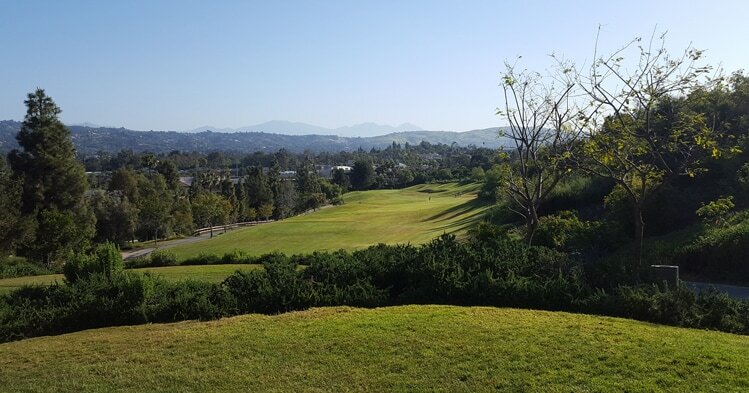 Westridge Golf Club Hole 2: This short par three is slightly uphill and has a clever green complex. There is a large bunker short and the green is slightly angled front left to back right with a large tier in the middle. The right half of the green is about a club more than the left so any pull or push to the wrong half will almost certainly leave a shot from the front bunker, a chip from behind the green or a long, nasty putt. Westridge Golf Club Hole 3: Relatively short and half benign, if this hole had a nickname, it would be "Left Begone" or something of that nature. Basically, the uphill drive just can't go left, and the approach to the green, must also not go left, or both will find penalty strokes or, at best awkward lies and touch shots. Hence, when the pin is cut back-left on this strongly sloping green, the second shot is one of the more difficult ones to get close. Westridge Golf Club Hole 5: This downhill par 5 requires a smart tee shot as anything hit too far right, long or left will earn a hazard stroke. It is short enough to reach in two, but the large bunker front right only makes it feasible if the pin is cut left. The green is severely sloped so that any shot long is dead. Also, any pin placement in the middle is a joke and mandatory two puts should be enforced as a ball will not stop, even on an uphill putt, unless it falls in the hole. So, with the exception of the middle pin placement, it is a good hole. Westridge Golf Club Hole 7: This par four is characterized by a nearly island approach shot to the green. The only bail out area is short left. The green is surrounded by a bunker, which actually could provide a reprieve, as outside of that is a lake. 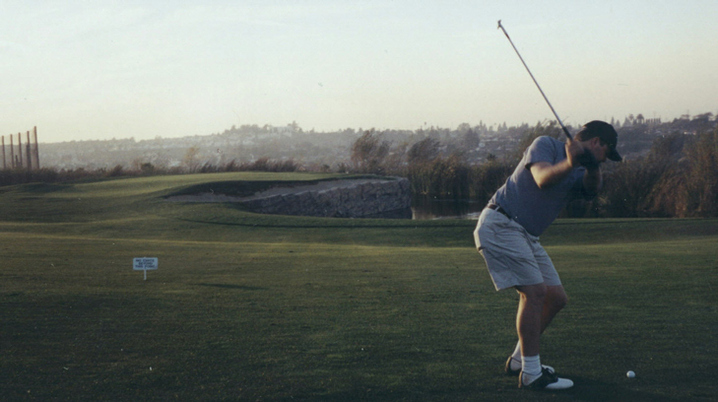 The green is tough to putt as well, so a good drive is a must. 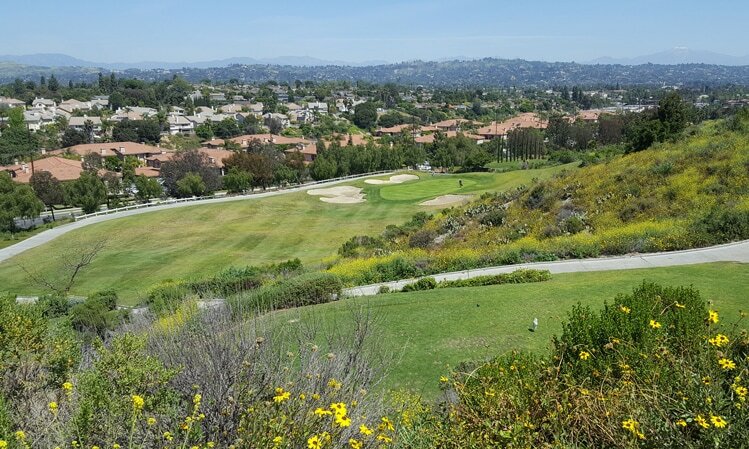 Westridge Golf Club Hole 9: After the rigors of the previous two holes, this downhill, short par five presents a good birdie opportunity. The drive can go a long way and just must avoid the dry creek bed on the right or hillside or OB left, but it is pretty wide. 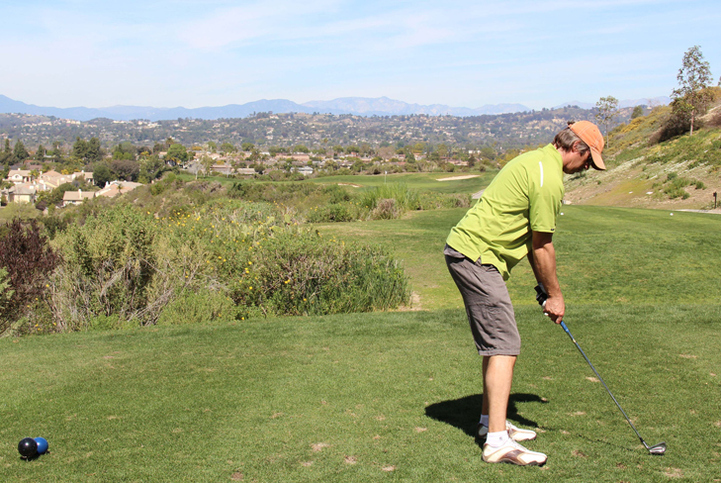 If successful, a long iron or fairway wood will be all that is left to the green. That green has a lake wrapping around it from the front to the back right, but there is plenty of room left. Westridge Golf Club Hole 11: One of the longer par fives, this place into the prevailing wind and has a very tight approach area from about 200 yards in, so the second shot is most key. The green is large and protected on all sides by trouble, except the front, so hitting straight is a good idea throughout this hole. 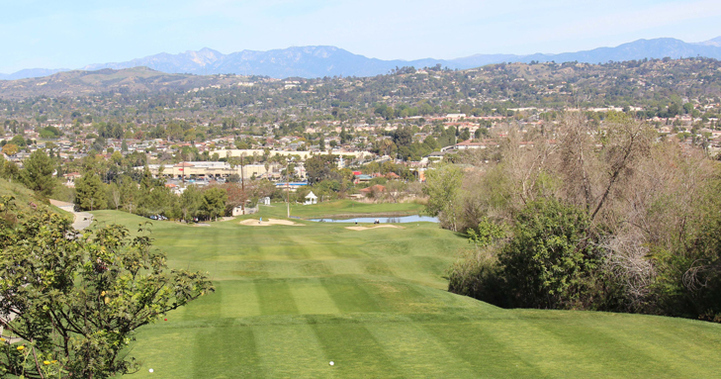 Westridge Golf Club Hole 12: A short par three, the upper tee box used to have a great view and was quite fun, but due to the drought, it has since been removed, making the hole a more normal short par three. This picture was taken from where the old tee box used to be. 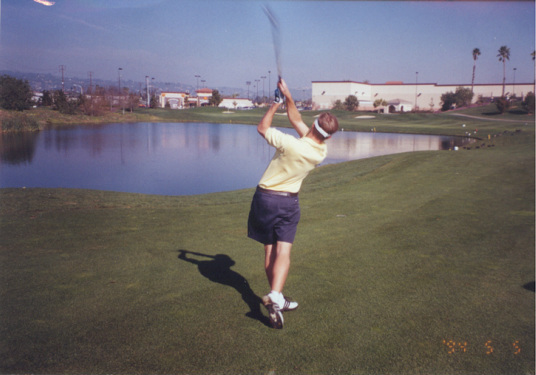 Westridge Golf Club Hole 13: This short par 5 requires a drive that must stay be straight to avoid hazard trouble short-right or long and left in the lake. The distance of that drive will determine whether or not the golfer will try to fly the lake and go for the green or layup to the right. The approach is one of the prettiest around, except for the fact that the backdrop is a shopping mall with a rather well known fast food restaurant 100 yards away. Westridge Golf Club Hole 16: This par three sits on the edge of a steep hillside filled with bushes and other environmentally sensitive things, so anything hit left is dead. A right pin placement is fairly accessible, but anything left of center requires a gut check as a shot hit short, left or long to that angle will not be found.